Indigenous Allied Health Australia (IAHA) is the national Indigenous allied health peak body. 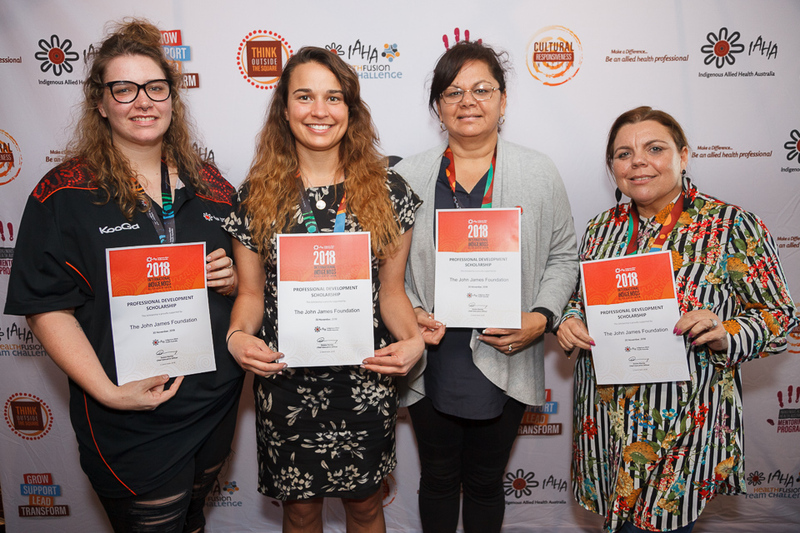 The organisation obtains funding for scholarships to support Aboriginal and Torres Strait Islander allied health graduates and students to attend two international Indigenous health events. In 2018 the John James Foundation granted IAHA $15,000 through the Community Health Program to support four scholarships for their members. Two graduates and two students were chosen to attend a number of educational events, which many Indigenous allied health graduates and students do not have the opportunity to attend. The funding goes towards graduates and students to further educate and develop their skills and understanding, addressing the inequalities indigenous peoples face in Australia and across the world. The events included the Healing Our Spirit conference in Sydney which discussed Indigenous physical, spiritual, emotional, social and cultural wellness presentations and workshops sharing knowledge and skills over 4 days. The International Indigenous Allied Health Forum brought together Indigenous and First Nation presenters and panellists from New Zealand, Canada and Hawaii to discuss shared experiences and practices to support and retain Indigenous allied health workers. This forum discussed many issues indigenous peoples face, aimed at creating awareness and improving the overall healthcare for indigenous people worldwide. Students also attended the International Indigenous Student HealthFusion Team Challenge. Here students participated in clinical, cultural and educational events where they learnt and exchanged information from Indigenous and First Nation university students. John James Foundation remains committed to supporting Indigenous health and healthcare. IAHA shares our vision to strengthen health outcomes in our community by improving the patient and doctor experience through education and vocation.